Press releases from two Japanese sources mention a game set in the Shenmue universe but its just a social game. Ever since Shenmue 2 ended with a cliffhanger in 2001, people have been clamoring for a resolution. The sequel sold fairly well on Sega's Dreamcast console in Japan but its import to the Western market was botched, with a bad overdub and long delays. Still, many gamers who were enchanted with the open world aspect of its setting, largely ahead of its time, still await a Shenmue 3. Today, an announcement by Yahoo! Japan and DeNA, a mobile internet company, on their joint venture to integrate social cellphone games to the PC briefly mentioned a new Shenmue game. Could it be? Could this be the first hint of a conclusion to the story that ended so ambiguously with a sword and a mirror? If so, it'd be bigger than a reunion of Night Court. Sadly, that's not the case. The game mentioned in the releases is called Shenmue Town and is described as a "social game" meant to take advantage of the partnership with Yahoo! and DeNA. Shenmue Town is "coming this winter." 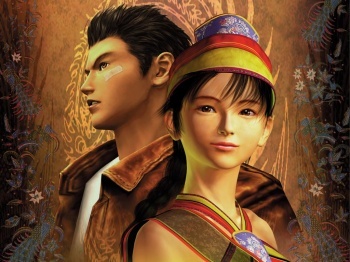 It looks like we must wait even longer for a conclusion to Shenmue's story. What is up with those two mirrors?